For a change of pace from the constant drum beat of politics by Twitter and the soul-searching fiction I usually read, I needed a non-fiction reminder of what made this country so unique and special. 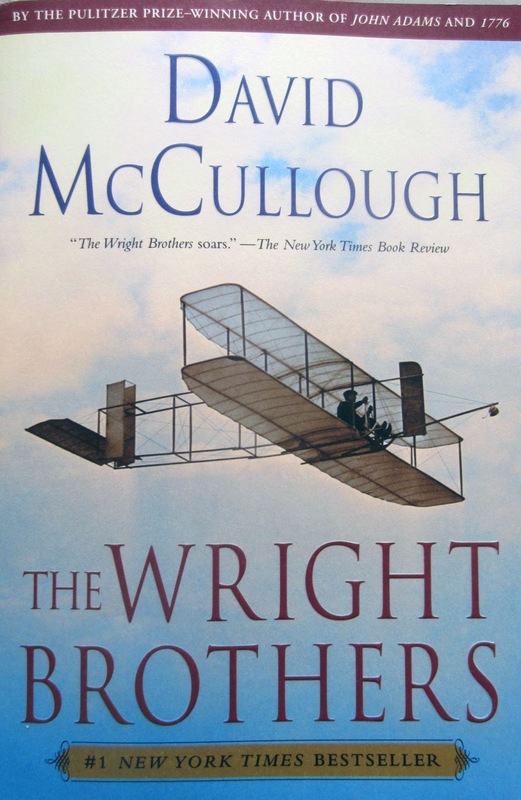 Toward that end, I turned to David McCullough and his biography, The Wright Brothers. McCullough has the ability to present history as a living entity, a time machine into the past. Once you read something by him, you feel connected to that era. I read his award-winning 1776 and John Adams before I started writing this blog and later returned to his The Great Bridge which he wrote early in his career. It is the story of the building of the Brooklyn Bridge and as Brooklyn is near and dear to my heart, I marveled at his tale. He is a natural born writer and honed his craft as an English major at Yale University. He is not an historian by education, but historical literature is nothing more than great story telling using facts where possible and filling in the blanks. I’ve always found that the line between fiction and non-fiction is very malleable. Being a good writer brings history to life. 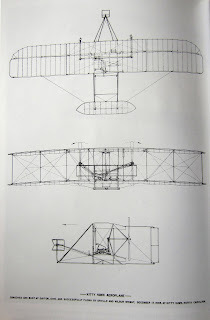 In The Wright Brothers he captures the persona of two distinctly American men, Wilbur and Orville Wright, problem solvers and entrepreneurs who after establishing a successful bicycle manufacturing business in Dayton, Ohio around the turn of the century became fascinated by flight, studying birds for their beginning education in aerodynamics. Against the then current belief that human flight (other than by balloon) is impossible, and without funding, they methodically and pragmatically tinkered with glider design, picking the Outer Banks -- Kitty Hawk, NC -- as their testing site, not exactly around the corner from Toledo, Ohio, because of the unrelenting winds there. It was completely desolated during those times and at first they lived in tents, graduating to a little shop they set up. Not many people followed them, thinking they were just eccentric. I have my machine nearly finished. It is not to have a motor and is not expected to fly in any true sense of the word. My idea is merely to experiment and practice with a view to solving the problem of equilibrium. I have plans which I hope to find much in advance of the methods tried by previous experimenters. When once a machine is under proper control under all conditions, the motor problem will be quickly solved. A failure of a motor will then mean simply a slow descent and safe landing instead of a disastrous fall. This was the genius behind the Wright Brothers experiments, start with the obvious, recognizing that like a bicycle, lack of control will defeat this mode of transportation. Well funded experiments such as those conducted by Samuel Langley, with a machine called “The Great Aerodrome” which had the backing of $50,000 in public money from the U.S. War Department and another $20,000 in private backing, including an investment by Alexander Graham Bell, was doomed to crash. Contrast that to the total of $1,000 the Wright Brothers invested in their successful experiment and you have yet another example of private pragmatism triumphing over public profligacy. Much of their work was done almost secretly, which is the way Wilbur and Orville wanted it, eschewing publicity and crowds until, well, their experiments resulted in a real flying machine. In fact they had to take it to Europe to make their mark publicly. That is an interesting story onto itself, particularly given the fact that the European chapter in their lives involved not only them, but their sister Katherine as well. She became increasingly involved with their work after Orville was seriously hurt (but fully recuperated with her help) after their one serious accident. They knew the work was dangerous and for that reason they had a cardinal rule never to fly together (their next generation of the “Wright Flyer” was outfitted for two people), a practice they dutifully followed until later in Wilbur’s life when flying was more commonplace. While inspiration and perspiration were in large part the necessary ingredients in their ultimate success, so was fortuity. The unsung hero which McCullough cites in his story is Charlie Parker, an itinerant mechanic who the brothers occasionally used for making parts for their bicycles, who was finally hired full time. As he later recalled: They offered me $18 a week…..that was pretty good money…Besides, I liked the Wrights….So far as I can figure out, Will and Orv hired me to worry about the bicycle business so they could concentrate on their flying studies and experiments…And I must have satisfied them for they didn’t hire anyone else for eight years. Indeed, Parker ran the business while the brothers were working on their experiments, but that was just a small part of Parker’s contribution to solving the riddle of powered flights. When the brothers finally felt they licked the problem of controlled glider flight, they were ready to add an engine for powered flight. Accordingly, they asked various automobile manufactures to submit specifications for a light engine with sufficient power but received only one reply and that engine was too heavy. They themselves had insufficient knowledge to build such an engine but happenstance there was Charlie Parker, a brilliant mechanic. As he later recalled and recounted by McCullough: While the boys were handy with tools, they had never done much machine-work and anyway they were busy on the air frame. It was up to me….We didn’t make any drawings. One of us would sketch out the part we were talking about on a piece of scratch paper and I’d spike the sketch over my bench. After that their life changed, becoming celebrities of sorts, but still focusing on their work for the next several years, better known in Europe than here in many ways as they went to France to demonstrate their work to the government who had more interest at the time than their own. Wilbur was the first to go abroad. His time there was unlike any he’d known back in Dayton, beginning with his first transatlantic voyage on the Cunard Line’s Campania which was advertised as “a flying palace of the ocean,” a phrase which of course appealed to Wilbur. We made 466 miles the first day he wrote back home and he took a tour of the engine room, amazed at those engines delivering 28,000 horsepower vs. the 25 of the new engine for the Flyer III he was about to demonstrate across Europe. He took copious notes during the crossing and walked its decks to the tune of 5 to 10 miles a day. Wilbur was a person of contemplation and action. I esteem it a great honor and an opportunity to present these medals to you as an evidence of what you have done. I am so glad-perhaps at a delayed hour-to show that in America it is not true that "a prophet is not without honor save in his own country." It is especially gratifying thus to note a great step in human discovery by paying honor to men who bear it so modestly. You made this discovery by a course that we of America like to feel is distinctly American-by keeping your noses right at the job until you had accomplished what you had determined to do. This recognition was finally followed by the largest celebration ever staged in their home town of Dayton, Ohio. 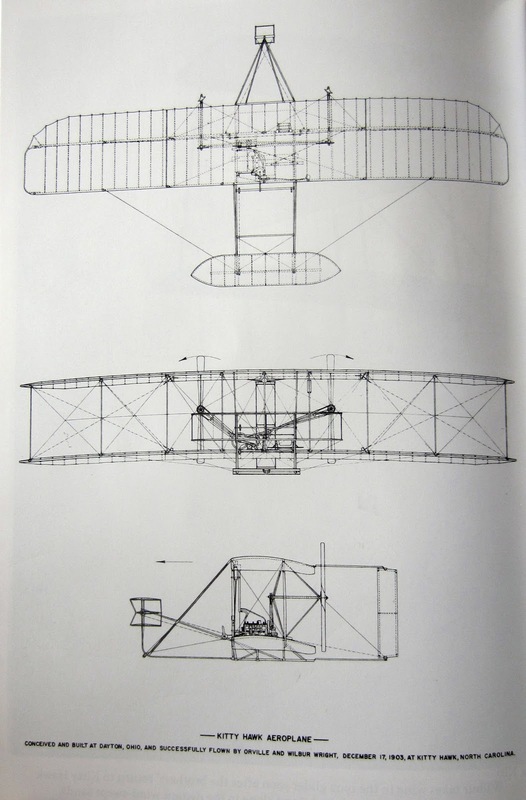 It is mind boggling to think that the invention of flight was only little more than 100 years ago. It demonstrates the rapidity of change today. Reading this masterful biography was the perfect antidote to a disheartening election and now post election season, with its invective rhetoric, a display of American unexceptionalism and gullibility. 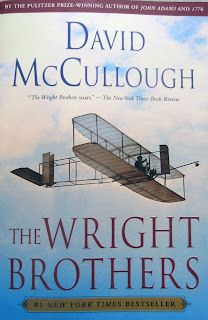 One can only hope this too shall pass and we will revert to the mean that made this nation so special, as typified by the Wright Brothers and so brilliantly portrayed by David McCullough. While I was writing this, the report came in that the Wright brothers’ fellow Ohioan, John Glenn, died at the age of 95, the last surviving member of the Mercury Seven. I remember watching Glenn’s launch on a small B&W TV with my college classmates in our dormitory. We were in awe of his bravery and felt particularly proud to be an American on that day in 1962. He and his fellow Mercury 7 astronauts were immortalized by Tom Wolfe in The Right Stuff. The Wright brothers had the right stuff too and Glenn had already flown as a WW II combat pilot while Orville was still alive. The Wright Brothers and John Glenn: Ohioans, pioneers, pilots, uniquely American.